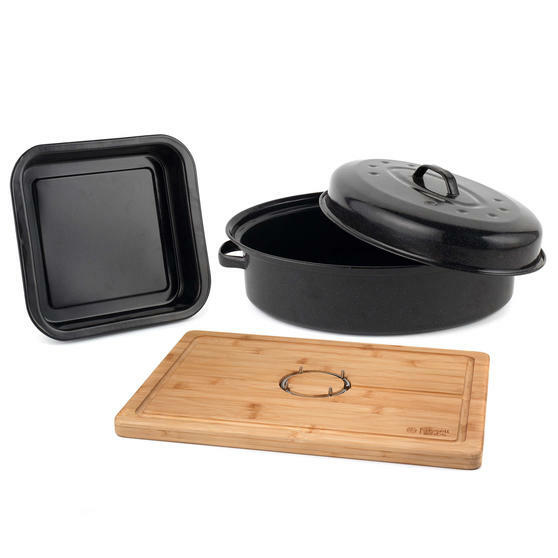 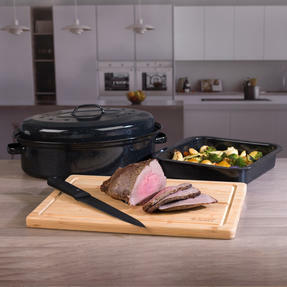 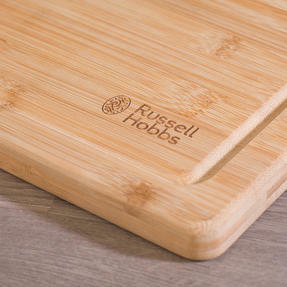 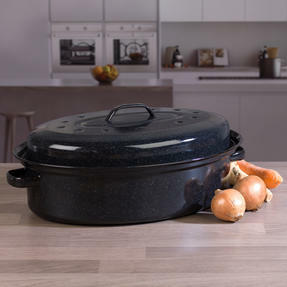 This smart Russell Hobbs set features three staples of any modern kitchenware collection: a large baking pan, self-basting roaster with matching lid and bamboo carving board. Suitable for oven use up to 230° and made from strong steel with a black vitreous enamel coating, the roaster and pan are durable, easy to clean and stain resistant. 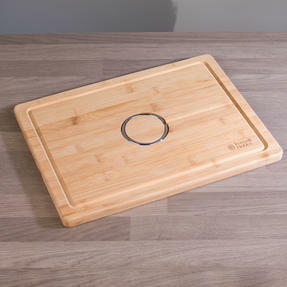 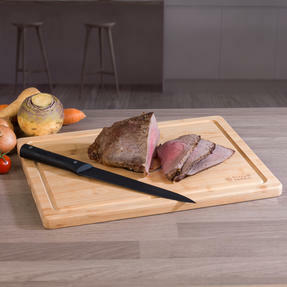 The carving board has a generous 40 x 30 cm slicing area and features a smooth side and spiked side, making it perfect for cutting a wide range of ingredients. 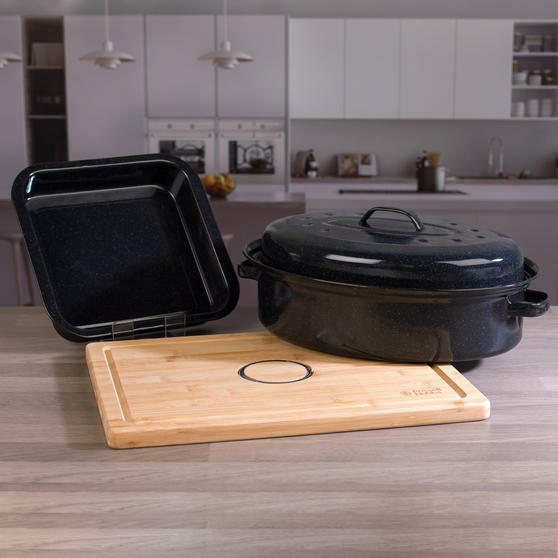 Including a lidded roaster, baking pan and wooden carving board, this stylish Russell Hobbs kitchen set is perfect for everyday use. 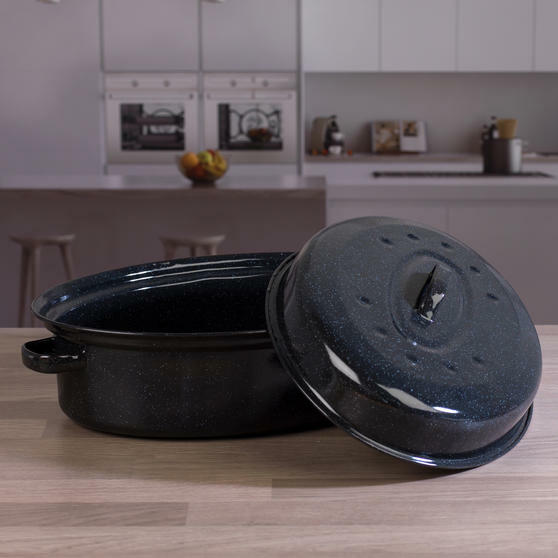 The 36 cm self-basting roaster and 26 x 25 cm baking pan are made from rugged steel with a hard-wearing vitreous enamel coating. The black speckled vitreous enamel coating will not stain or discolour and is very easy to clean, as well as being dishwasher safe. 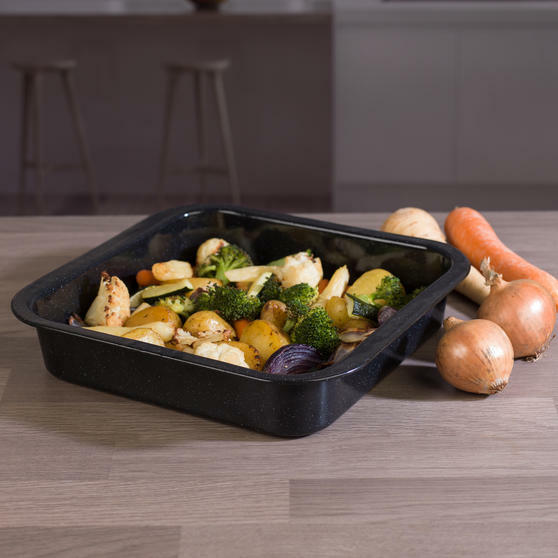 Ideal for use with all standard gas and electric ovens, the baking pan and roaster with lid are suitable for oven use up to 230°C. 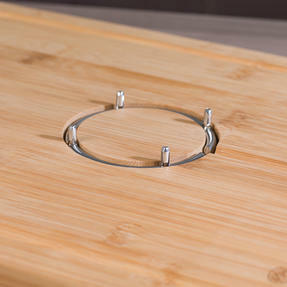 The durable bamboo carving board spans 40 x 30 cm and has a spiked iron ring in the centre that holds the meat in place as you slice.